Wow. It's been a LOOOONG time since the first installment of Stuff (Without Which I Would Surely Perish) - over two years, as a matter of fact! 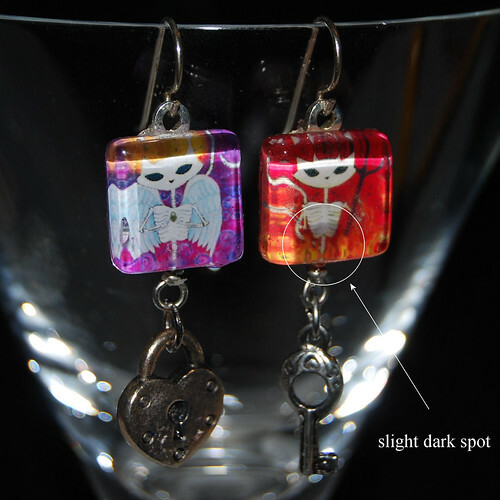 The Project: In the last year and some months, I've started creating jewelry with the images from my paintings. Like prints, jewelry is a way for my clients and fans to have the images they like which they can also afford. As an added plus, you get to carry them with you. 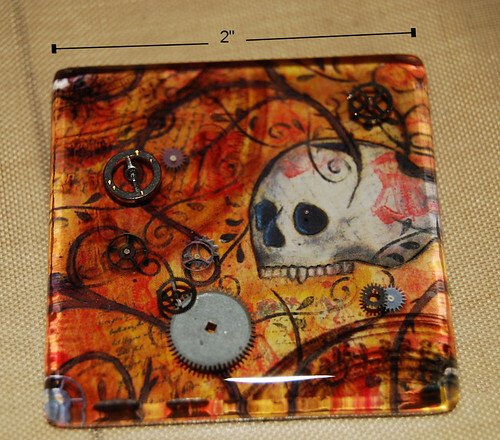 I arrived at my current art-jewelry techniques following a two-year long process of experimentation with various adhesives, sealing agents, papers, printing inks and substrates. Everyone I spoke to or read either said to seal my images with packing tape or Mod Podge ... and both of those products failed at irregular intervals (usually when I was doing a custom and didn't have more tiles on hand). I refused to list items at full price that were 'imperfect' in my eyes and figured there HAD to be some kind of sealant that wouldn't make the paper look wet or spotty when applied, and that would not be dissolved or penetrated by resin. The Solution(s): Then one day I realized what I was looking for - SILICONE! 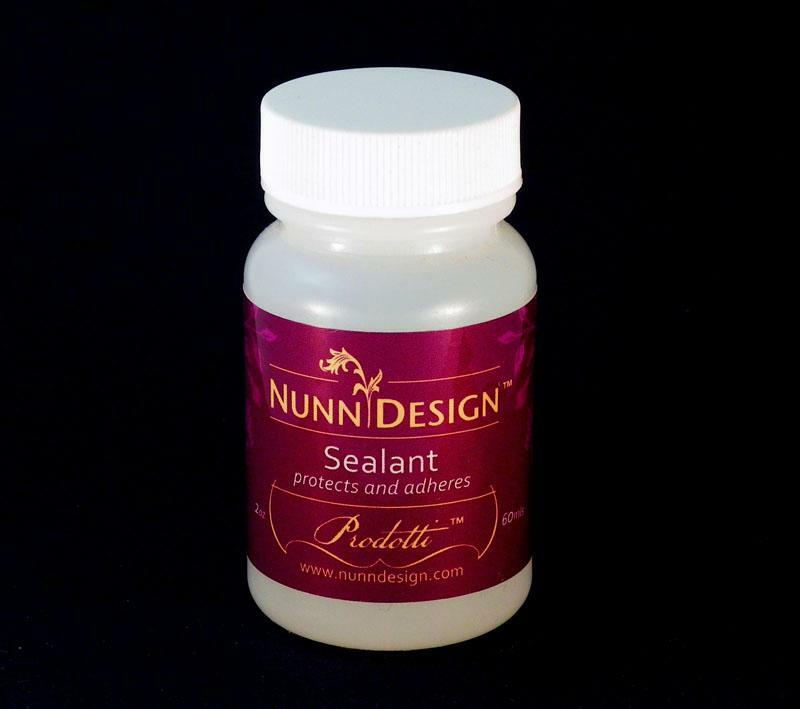 Nunn Design makes both a silicone sealant and adhesive that work PERFECTLY with resin applications. So perfectly that I'll never ever go back to using anything else. 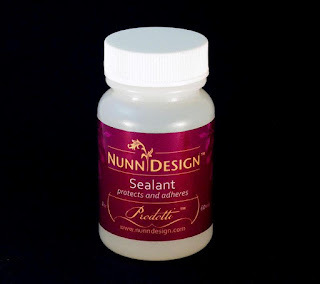 I completely coat my image with the Nunn Design Sealant (painting in a cross-hatch motion) on both sides AND the edges of the paper before I apply the image to my wooden or glass tile using Nunn Design Glue. Both products clean easily with a little water, but once they are dried, they will prevent moisture from seeping into your image. TA DA AND HOORAH! A quick Google search for either of these product names will bring up a list of online suppliers. Even some local bead shops are beginning to carry these products, though I recommend you don't even bother looking in the big box craft stores. I usually order my glue, sealant and resin* from ArtBeads.com - their prices are good and their customer service is excellent. To see other products I love, click on the 'product faves' tag over there on the sidebar (or at the end of this post. Keep your eyes peeled for my SWWIWSP post on ICE Resin.